The Guest Speaker at our next meeting will be Alex Reardon who is a well known local artist. Alex was to be the Guest Speaker at the March meeting, but because a number of special occasions occurred during the week which affected several members, it was decided to transfer his talk to April. Special Members: In recent months, three of our members will have celebrated their 90th birthdays. My apologies to John McLean who celebrated his birthday near the end of last year and I missed mentioning it in the final 2016 Newsletter. John has been a regular and supportive member of the Inverloch Historical Society for many years. He can always be relied upon to contribute to general meetings in all sorts of ways. Thelma Hewson was 90 recently. Thelma has also been a regular and interested member of the Society for a long time. A happy photo of Thelma and members of her family featured in one of the local newspapers. Lindsay Olden has been a solid contributor to the Society in many ways. He will be 90 towards the end of this month. Lindsay was our Secretary for a time, and has contributed to the Society in many different ways. We congratulate John, Thelma and Lindsay all very much, and wish them good health and happiness in future years. 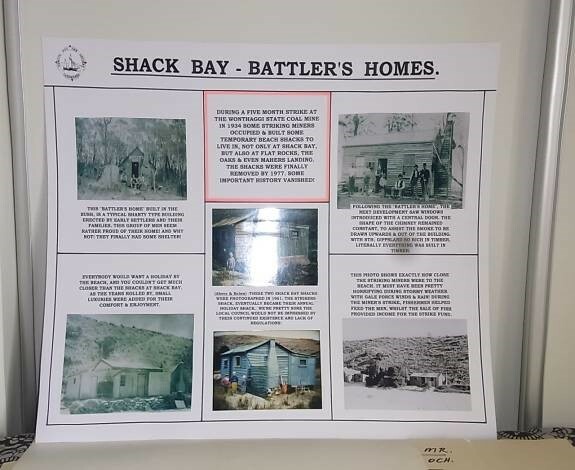 One of the large number of display cards made by our President John for both the display cabinet in the Inverloch Arcade and eventually for the Exhibition to be held through all of the month of June this year at the Hub Inverloch. 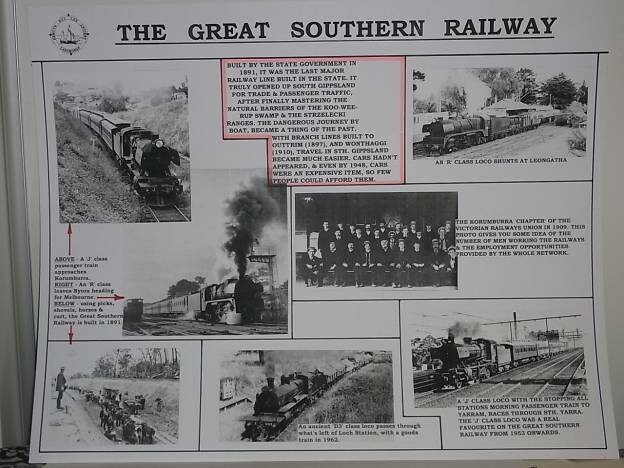 It is a great way of showing our local residents and the many visitors to the town the quality and quantity of the large array of photos, stories about people and artefacts gathered for the Historical Society since it began in 1996. Notes from the Inverloch Historical Meeting held on Wednesday 22nd, March 2017. Many thanks to President John for providing the following details. 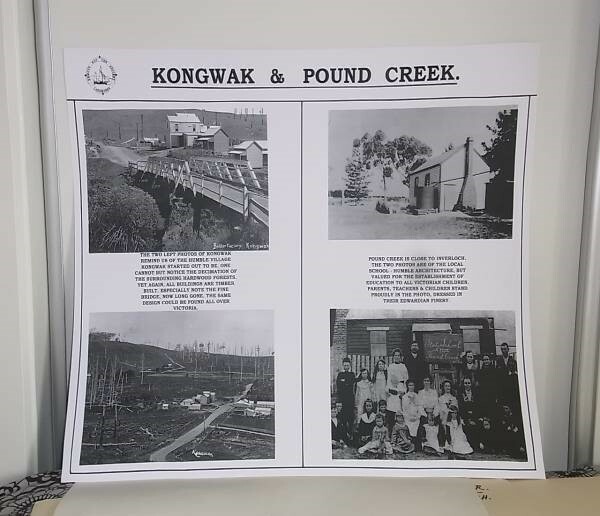 The meeting was informed of progress in two areas, the Accessioning Program and its progress, and the purpose of the display cards being created and presented by John Hutchinson. Graham Paterson (Secretary), spoke of the fastidious and steady progress of eventually entering into our computer records, all the historical pieces that the Society owns. The computer used is one that is designed and used by many Historical Society’s in Victoria, thus allowing the cross checking of what everybody has, and how some accessioned pieces can be shared and appreciated by others within the State. This program being carried out and led by members Graham Paterson and Susan Hacker will take a number of years to finish, keeping in mind we are constantly adding to the collection. In the meantime, a written book record of what we have is being kept by Committee member Ian McBurnie, which is a good double check of everything we do. President John brought 12 display cards to the meeting and explained how practical and useful they would be for the future of the Society, especially with the forthcoming June exhibition at ‘The Hub’. Many display cards have been created over the years, which our Patron Eulalie Brewster carefully houses and cares for. Constant updates of these older display cards are essential. 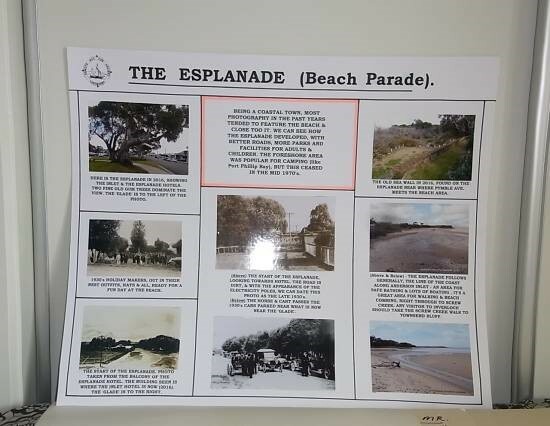 At the moment John has created 52 new display cards of subjects ranging from- the changes in the Esplanade, A’Beckett Street, Pine Lodge, Transport to and from Inverloch, Advertising in Inverloch Over the Years – and so on. Great use has been made of the computer, photocopying and enlarging by John, and using these newer methods which were not so freely available in the past, some effective displays have been made. 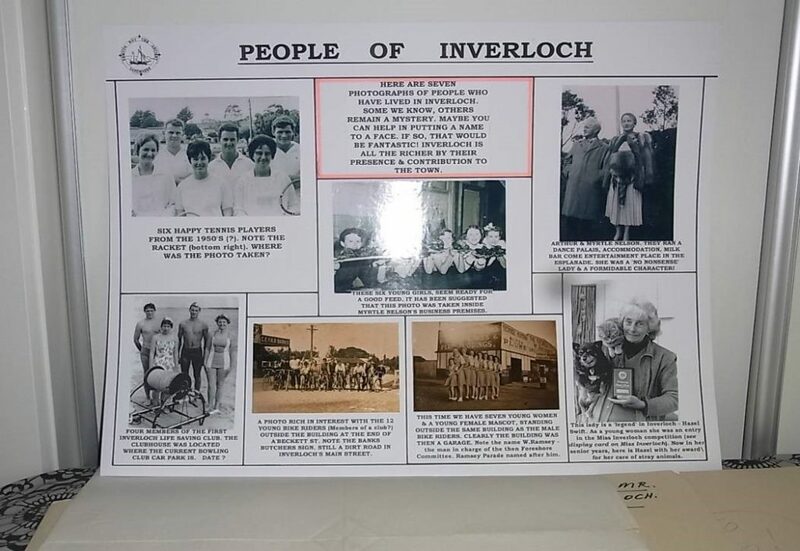 The total effect at the June Exhibition, combined with other displayed materials, should prove to be an effective way of telling people and visitors to Inverloch, of the fascinating story of our beautiful and interesting town.